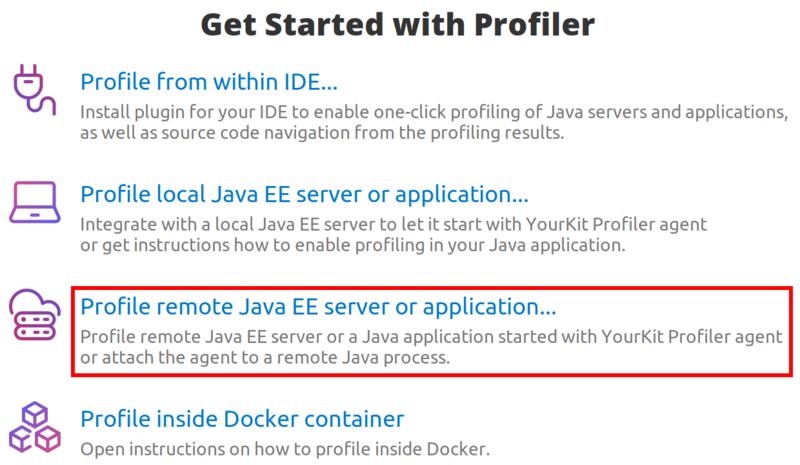 To profile Java applications running on the remote machine use Profile remote Java EE server or application... action on Welcome screen or in "Tools" menu. Simple method. Profiler discovers applications running with the profiler agent. Ports in the given range will be scanned. By default the profiler agent port is allocated in the range 10001-10010. If the profiler port was changed with startup option 'port', also change the Profiler agent port(s) field accordingly. Advanced method. 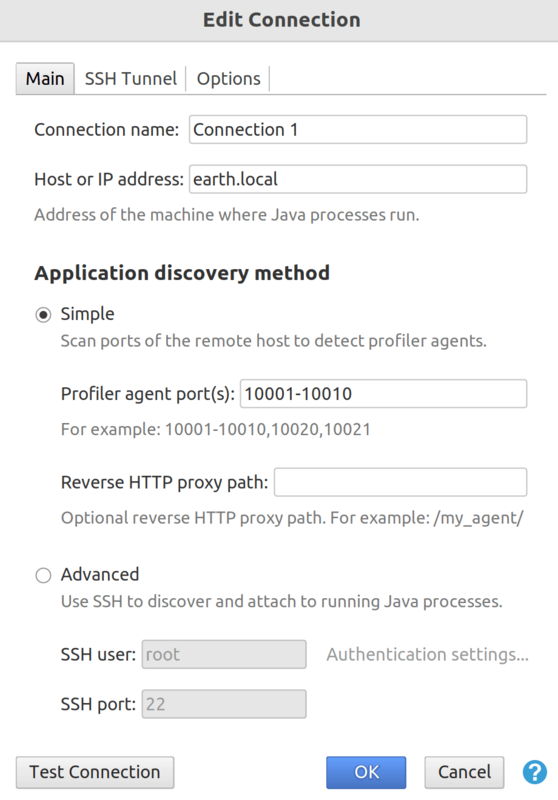 Profiler creates SSH connection to the remote machine. It will detect all running Java applications. Applications running without the profiler agent will be detected as well. You will be able to attach to them. 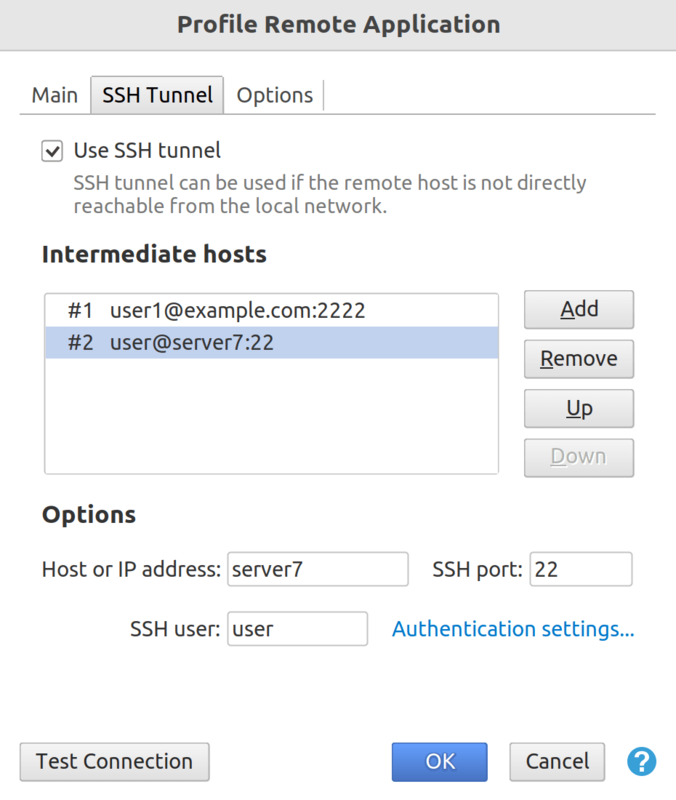 Specify SSH user and SSH port in the corresponding fields. Authentication with a password or a private key is supported. Why advanced method is better? Uses SSH protocol for secure network communication. No need to configure firewalls and expose ports. Automatically uploads profiler agent and all other necessary files. Ability to profile applications started without the profiler agent using attach. For a usage example see Profiling in Amazon EC2 instance.